The strange old riddle speaks of the delightful honey bee. The old myth is that the creatures were able to create the most delicious substance on Gaia by defeating the might of the flower, the Dragon's Breath, and spreading life throughout the world. To protect its treasure, the god of gods gave the bee a powerful weapon, but its use would claim its life. Hardly a fair life, right!? You can reap the sweet rewards without having to face its guardians, though, when you sling over your shoulder this exclusive Pot of Honey Purse. 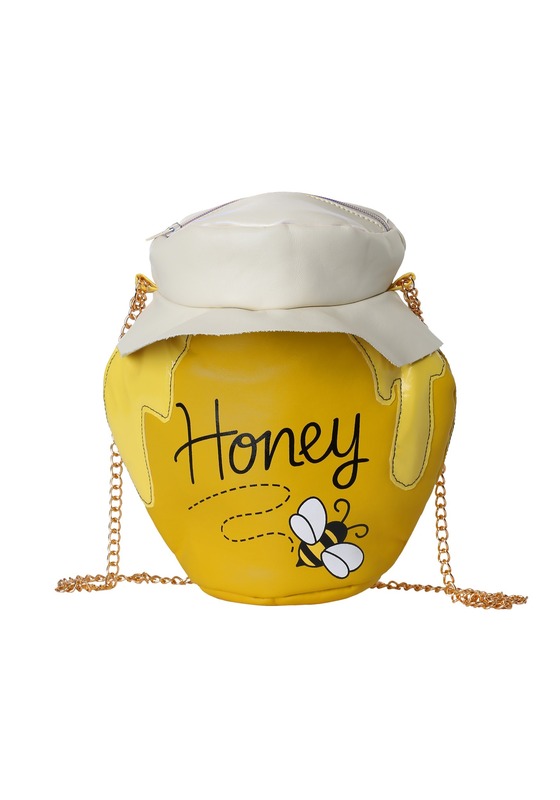 This delightful bag was Made by Us and designed in-house by our team of riddlemasters and beekeepers. It features a 45" long golden chain, a 5" opening, and looks just like a pot of the sweet stuff that a certain tubby teddy would bounce after! Trying to get your hands into some honey can be a trying time, depending on who you are. 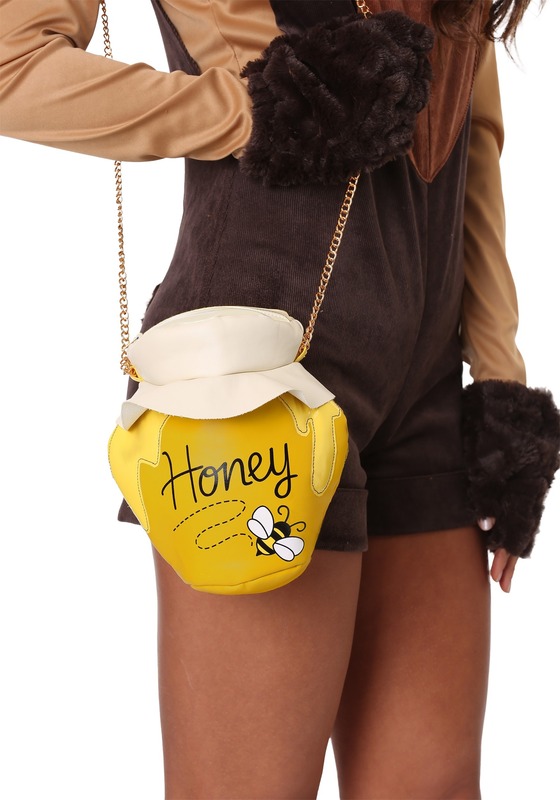 But, when you've got this Honey Pot Purse, it's obvious that you're the honeybee matriarch and have plenty of room for your sweets! Standard Widest Point 7" 7"